You love your motorcycle, it has been your best friend since the day you got it, you have many wonderful memories with it and road trips have become your favorite thing. Does this sound exactly like you? Then you must take care a good care of your companion to enjoy many more rides down the road. Tires are one of the most used part of a motorcycle. Depending on your usage, the tires needs to be changed every now and then. 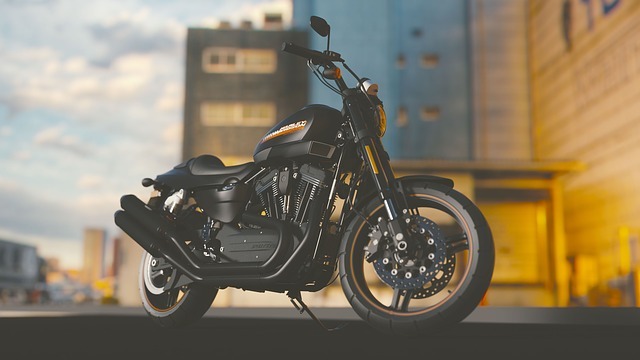 Here are few points to consider while buying your next motorcycle tire. You must have noticed some alphanumeric characters on the sidewall of your tire, those are the specifications of the tire. You can easily decode it taking help from the internet as these are given using the ISO Metric sizing system. Once you’ll decode it, you’ll get the details like the width of the tire, aspect ratio i.e. ratio of height to width, radial or bias ply, load index and speed symbol etc. All these are important to be known to you so that you know what to look for when you buy a new tire. Don’t try to attach bigger, wider tires to your motorcycle than what is recommended just because the look appeals to you. Your local mechanic will fit any wide tire that is workable with your motorcycle because at the end of the day they are getting paid. But remember that all bikes have a specific design and geometry developed by specialists. The tire needs enough clearance as it moves, if it ends up touching neighboring components, it can lead to dangerous situations. You’ll get tires with different tread designs, don’t go for anything thinking it’s just a design. The pattern that the tire follows has characteristics and different patterns are best suited for different conditions, it totally depends on how and where you mostly use your motorcycle. Slick is the type for smooth surfaces like road, racing tricks etc. whereas knobby one goes good on rough surfaces like rocky, sandy etc. If you are more like the off track one, going on adventure trips on your motorcycle then you know which one to choose. You can easily see the tire construction type, if it radial or bias ply as it is mentioned in the coding on the sidewall, R for radial and B for bias ply. The differences in the make results in operational features. Radial is more suited if you take long trips often, it has longer tread life and bias ply is better for shorter trips taken less regularly. After looking at features, benefits and personal needs from distinct angles, decide what is best for you and your travel companion. Another dilemma that you’ll be facing while choosing tires is to go for tube type tire or tubeless. The key is to buy the type that you’ve been already using which means the type your bike came in with. There is a whole mechanism behind the working of tubeless and tube type tires, the rim is not meant for the opposite type. Don’t go vice versa with these types, fitting tube type tire with a tubeless rim or tubeless tire with tube will mess with their valve stem, and that is not favorable. Always take professional advice and services when dealing with your bike and its parts, they know their stuff. Don’t experiment too much, focus on performance rather than looks. Keep your buddy in the top running condition to make every ride smooth and every trip, memorable.